KANSAS CITY, Mo. 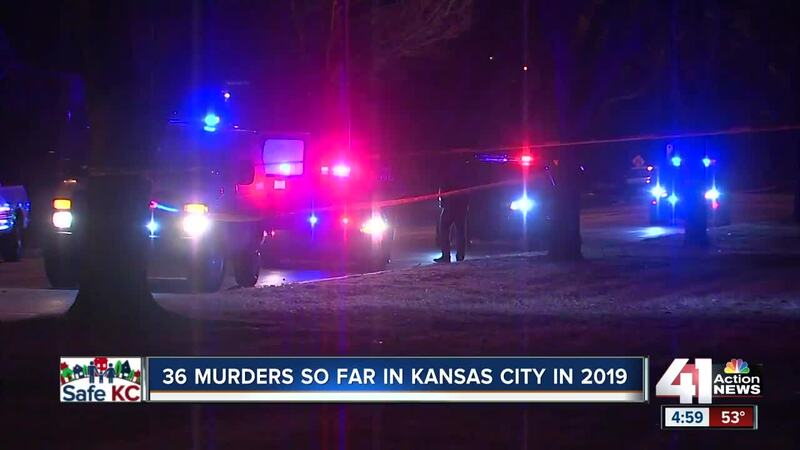 — A few months into 2019, there have been more homicides reported in Kansas City, Missouri, than during the same period in at least the last nine years. The rash of crime has left anti-violence groups in the city frustrated. "It’s going to be a bad year anytime we’ve allowed 36 homicides from a span of January to April 4. It’s a problem," said Rosilyn Temple, founder of KC Mothers in Charge. Temple wants something to change. Perhaps the most staggering statistic is that about half of the homicide victims so far this year were younger than 24 years old. "We have discovered that there seems to be an unappreciation for life and that concerns us, and it should concern the entire community," said Marcus Blockmon, chief administrative officer for War Cry Kansas City. Blockmon’s group put up four billboards across the city in hopes of getting the public's attention to stop the violence. The number of homicides is written on a chalkboard inside the AdHoc Group Against Crime lobby. Group president Damon Daniel said a different solution to stop the violence could involve area businesses and churches. “Businesses, in terms of offering internships and learning opportunities for our young people, to perhaps churches opening up the doors and doing more Bible studies," Daniel said. Whatever the solution, these groups are working together to prevent another senseless death. "Let’s get these people off our Kansas City streets," Temple said. According to the Kansas City Police Department, only nine of the 36 homicides this year have been solved. Anyone with information that would help lead to an arrest in a homicide is asked to call the TIPS Hotline at 816-474-TIPS.